∙ Features 4 double hooks in polished solid brass or black wrought iron. ∙ Adjustable feet for uneven floors. ∙ Choice of heights – standard or tall. ∙ Supplied oiled and ready assembled. A best seller and one of our favourite products to make; Solid Oak Coat and Hat Stand designed and hand-crafted with care, here at the Boot & Saw workshop in Cornwall, using the finest quality European Oak and finished to the highest standard. Available in standard or tall with a choice of heavy solid brass or hand forged black wrought iron hooks – Both types of hook are UK made and provide ample space for a family’s coats, jackets, scarves and hats. 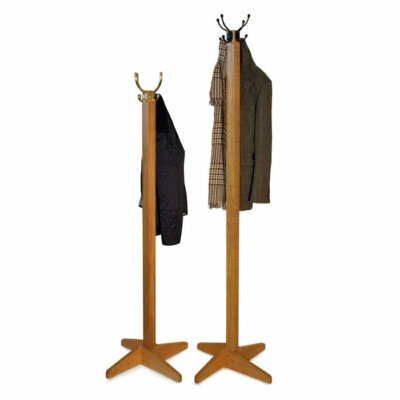 A contemporary take on a classic product, its elegant simplicity makes our Oak Coat Stand suitable for the traditional and modern home alike. 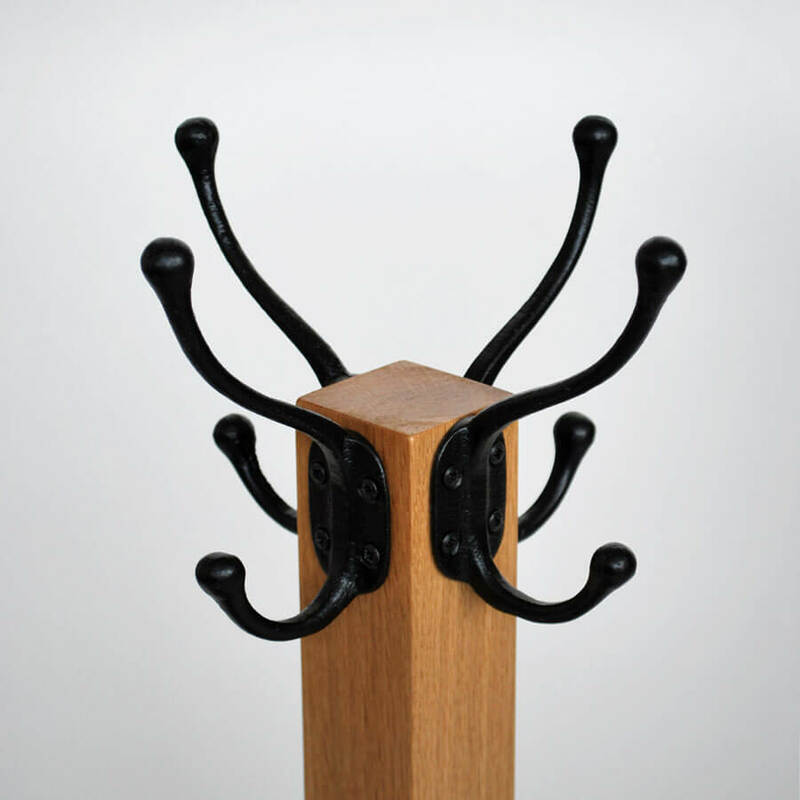 Each coat stand has subtle, adjustable feet for uneven floors and is supplied oiled and ready assembled. Made to last a lifetime, we hand-craft each stand with care using sustainably sourced European Oak from managed forests, which naturally features a beautiful colour and grain, and unlike American Oak doesn’t have to be shipped from across the World. A robust and durable hardwood, Oak is not only an attractive timber, it stands up to the daily wear and tear of the family home. If you want the best available, Oak is it. Each Coat Stand is designed, handmade and finished in house, the hooks pre-fitted by us to ensure they sit just right – we only use the best quality coat and hat hooks, sourced in UK. Our Oak Coat Stands are oiled with Osmo Polyx oil for a durable and hard-wearing satin finish that brings out the natural colour of the wood. Osmo oil contains only natural ingredients and is quite simply the best finish on the market. The stands themselves are supplied ready assembled, all you need to do is simply unpack, screw the coat hooks into the pre-drilled holes and it’s ready to go – we pre fit all hooks to ensure a smooth assembly. Need something custom? Still have questions? We make everything to order so custom orders are no problem. 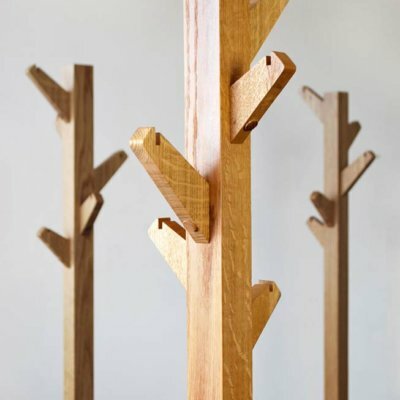 Our Oak Coat and Hat Stands are available in a choice of heights, but if you have a space that requires something bespoke, just drop us a line and we’ll be happy to help. We can also fit additional hooks and offer alternative hook finishes by special request. If you’d like to know more about Boot & Saw, what we do and how we do it, please visit the About Us page. If you need more info on this product, please do get in touch and we’ll be happy to help. Delighted with the coat stand. Very sturdy and beautifully crafted. Kept informed of likely delivery schedule and arrived exactly on time – very well packaged. Thank you so much for our beautiful stand. It is elegant in its simplicity yet sturdy and strong. It is exactly what we needed for our limited hall space, and just the right height for the whole family to reach (we chose the standard option). Thank you very much! Excellent quality. I was very happy with this purchase and would definitely recommend. Well made and worth every penny. I know it’s only a coat stand but it really looks the business. We are thinking about ordering more. Well pleased with the coat stand excellent craftsmanship packaging & delivery highly recommended. Lovely, great quality, simpley-styled (so elegant) coat stand – just what we needed! Shorter version is good for smaller spaces. This coat stand was a birthday gift for my son and he is delighted with it, ideal in both style and size for his requirement. On placing the order I was notified of the probable delivery date and then further notified on despatch. It was extremely well packaged so arrived safe and sound. All in all a very positive purchase and I would have no hesitation in using the company again. Superbly crafted product and ongoing customer service provided excellent. Product delivered wrapped to the hilt! Well done Boot and Saw we will recommend you. Absolutely delighted with our coat stand! Thank you! 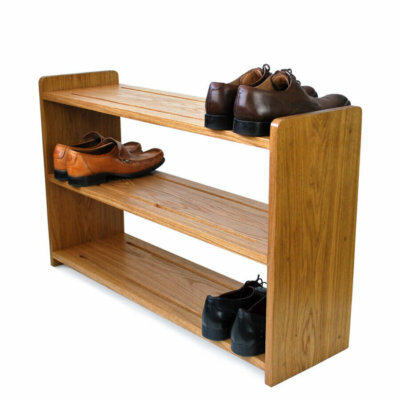 Excellent product – design and construction superb and absolutley met our expectations, and also Boot and Saw provided great, proactive, customer service. 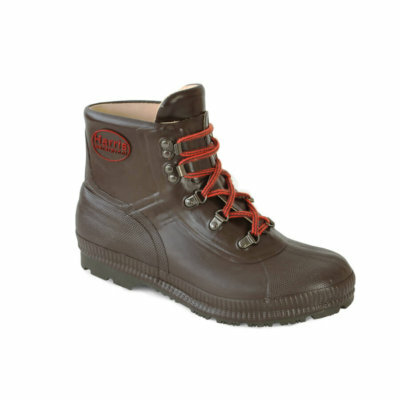 I would thoroughly recommend Boot and Saw products. The coat stand is beautiful, sturdy and well-made – exactly what I wanted. Very impressed with the protective packaging and with the clear instructions for fitting the hooks. An excellent product. The coat and hat stand was purchased as a gift for my sister. She is very pleased with it. Top quality and well packed for transit. 10 out 10! Lovely coat stand – very pleased with it. Beautifully made and I’m sure it will last a lifetime. We are so pleased with our new coat stand. It is really good quality & came in pristine condition due to how well it had been packed. Will definitely recommend to family & friends. we are really pleased with our oak coat stand, it fits in perfectly with our décor. excellent service and product, would recommend. The coat stand arrived promptly and very well packaged. The quality is excellent and it looks really good in our vestibule. It is exactly what we were looking for. I can thoroughly recommend it. Excellent quality product – just as described. Lovely design. I was kept informed on progress of order. Arrived as promised and very well packaged. Good value for price. Perfect product, brilliant service. It arrived very well packaged , we are delighted with it and the brilliant customer service . A smart and practical coat stand, effectively holding 8 coats. Very sturdy, and well made. The coat stand looks great in my hall. The polished hooks match my existing furniture really well and the stand is perfect. Thanks for the quick service and great craftsmanship. Beautiful coat stand, great craftsmanship. Arrived well packaged and on time. Very sturdy. Very well made quality coat stand, really enhances our hall at home. We are very pleased with our new coat stand which arrived safely, well packaged and protected. A quality well finished addition to our home. Thank you. Beautiful addition to our home. Obvious quality of craftsmanship and the customer service when making particular delivery arrangements was much appreciated. Wholeheartedly recommended. Thank you, we will treasure this! Fantastic quality and looks superb. Very happy indeed!! Lovely coat stand, very good quality and quick delivery. My coat stand was delivered today, as promised, and looks great in my hall. The polished hooks match my existing furniture really well and the stand is in perfect condition, having been very well packed! Thanks for the quick service – from order to door in one week for something custom made is not something you come across very often and if anyone asks me where it was from I will definitely be telling them. Just a quick note to thank you for coat stand, packaging was great and all arrived safe and sound. Love the stand, beautifully made and solid, just like oak should be! Just to let you know that the coat stand arrived today. Very pleased with it and it looks splendid in our hallway. Just to say everything has arrived safely and they are perfect, and beautifully made – very much appreciated and many thanks – we will be back! The wellies arrived yesterday and I’m so pleased with them. Thanks again for following up my order, and taking such care over it, after the original went awry.